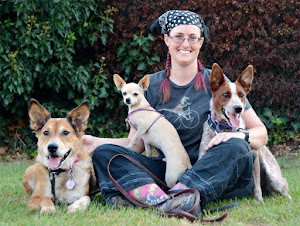 The Dog Geek: Those Other Dogs. While everything really is all about Brisbane, I actually have a second dog and often have a foster or two, or three. My house also contains three cats, over a dozen small birds, several box turtles, a leopard tortoise, and an extraordinarily tolerant husband. The unloved second dog is Ru, a poorly-bred chihuahua we brought home as a souvenir from a family reunion. He was approximately four months old at the time, and has topped out at a whopping 6.5 pounds. Owning Ru has also been an education, but mostly about the differences between chihuahuas and 'real dogs'. 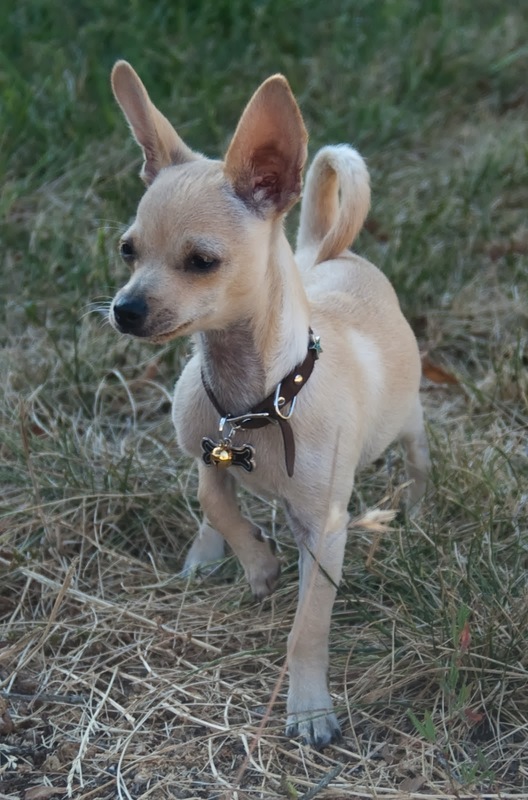 Prior to acquiring the little rodent, I had truly believed that a chihuahua would act like a normal dog if it was treated as a normal dog. I was wrong. Ru is motivated by heat more than anything else in the world, and appears to be at least partially reptilian. 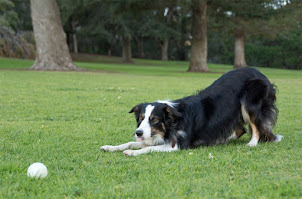 He learns slower than super-intelligent Brisbane, which makes training him less rewarding for me. I blame the ADHD for that. Ru also has a terrible work ethic, and is only willing to play/train on his own schedule. He doesn't understand human body language at all, and at four years old still isn't quite totally housetrained. Due to his tendency toward hypothermia and our coastal location, Ru is dressed pretty much all the time. His back is about twice as long as it would be if he had been bred by someone who knew or cared how a chihuahua should be shaped. When we brought him home in July, the pet stores didn't have dog sweaters in stock and I ended up making him sweaters out of fuzzy slipper socks. During sweater season I rapidly discovered that his length and general tinyness made him difficult to fit. Most store-bought sweaters are either too big around the neck and chest, or too short in the back to fit His Tinyness properly. Fortunately, I enjoy sewing. I also learned how to knit for the sole purpose of making him sweaters. It's worth mentioning that I really wanted another dog at the point in which Ru pranced into our lives. I was planning to get another cattledog or mix thereof, and I desperately wanted it to be a girl so she could wear pink and dress up and generally be a fashionista. I had discovered the world of dog clothes shortly before losing my cocker spaniel, Oakley, and Brisbane had (and continues to) steadfastly refused to wear anything resembling 'clothing'. 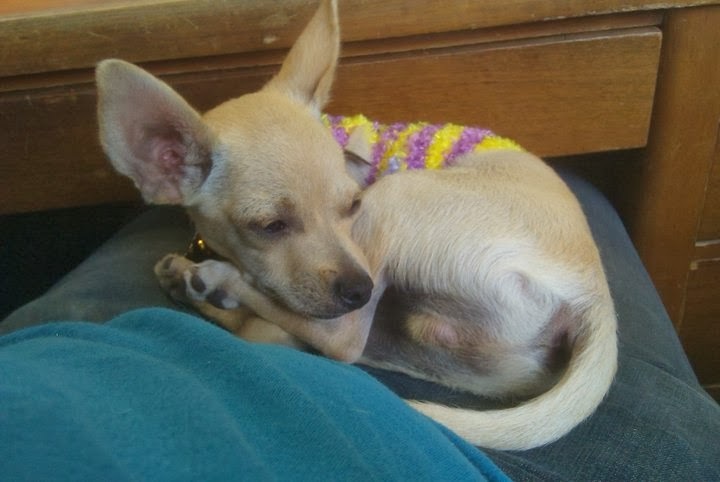 As he is already a chihuahua, and was neutered shortly after coming home with us, we decided that Ru couldn't possibly be emasculated any more than he already was. That is how he became our girl dog. 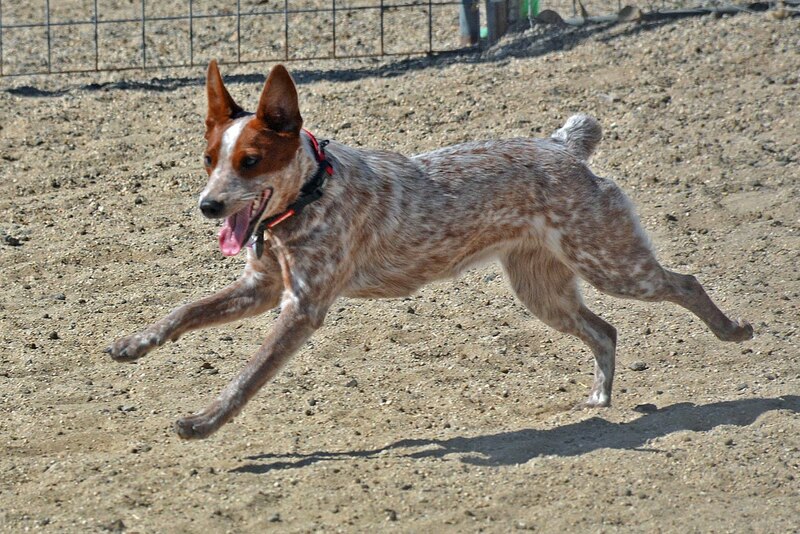 He doesn't seem to mind the nail polish and jewelry, and he prances ridiculously when he is wearing a pretty dress. I cheerfully challenge gender norms and proudly state that boys can wear dresses too! 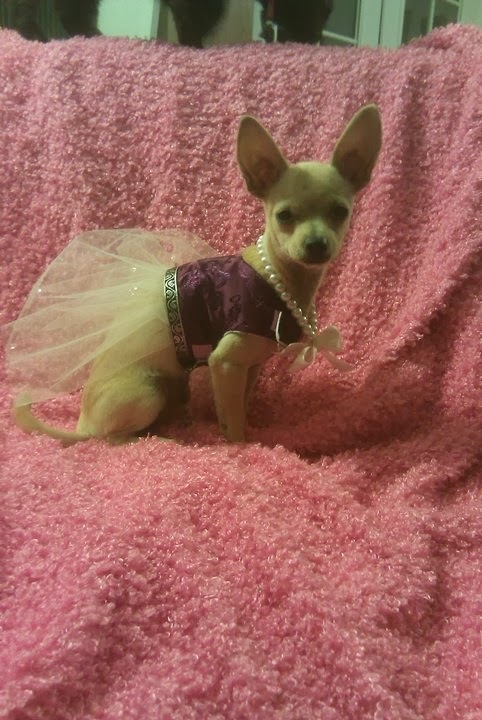 This past December did bring a genuinely female dog into my life, but not one small enough to wear adorable dresses and sweaters. 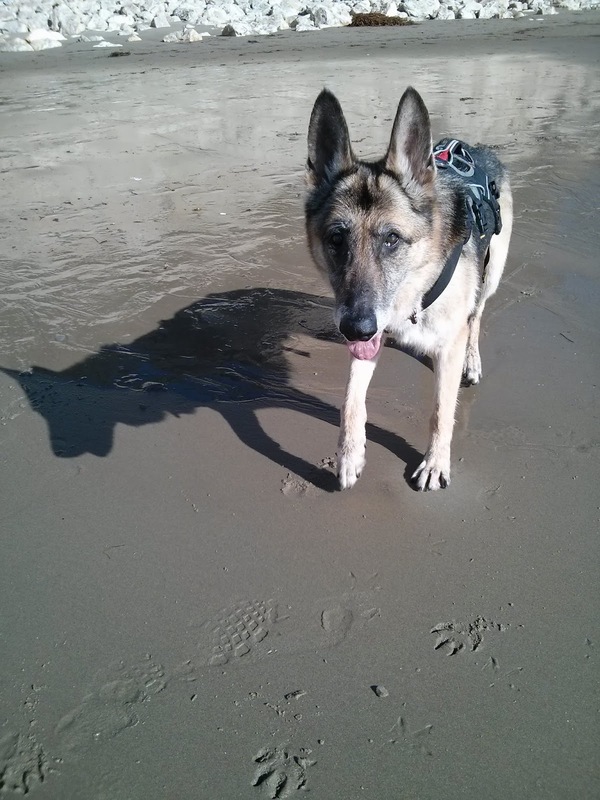 Josie is a German Shepherd Dog, 12-14 years old, with severe spinal degeneration and bowel incontinence. She is a hospice foster and is here for the rest of her life. We can't be sure whether she has Degenerative Myelopathy, Wobbler's Syndrome/Cervical Vertebrate Instability, or some other type of spinal problem. We do know that she has bowel incontinence, can't move her tail, drags her back feet, and has recently begun dragging a front foot as well. An exact diagnosis would involve extensive imaging and tell us if surgery would fix her issues, but we don't feel she would be a good surgical candidate so we are content to let her live out her life. 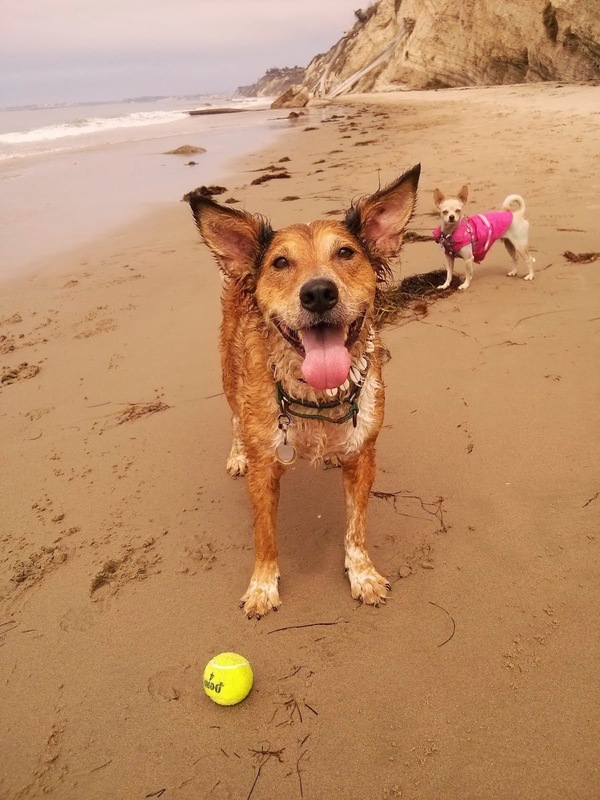 Josie does see a veterinarian regularly, and has been prescribed Gabapentin to help keep her as mobile as possible. She has given me a chance to experience the world of senior dogs again, and I am enjoying the lack of training goals and chance to fill her life with joy with very few limitations. Don't Let Him Do That!